Many patients will struggle with a major issue that all people are best coming to terms with: we cannot control what happens around us. Wanting to remain in control is a natural thing for people, but it can sometimes be difficult for a patient to understand that they cannot control the environment or a situation, only how they react and contribute to the situation. A difficulty letting go of control causes many emotional issues and drastically affects a person’s level of anxiety. Something that is important for such patients who struggle with letting go of control is radical acceptance. 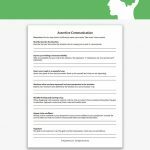 This worksheet teaches the concept of radical acceptance. 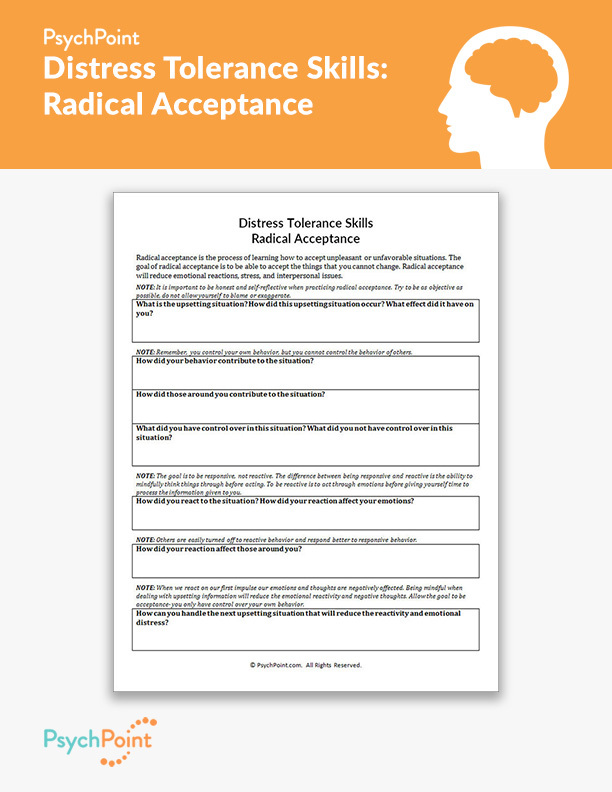 Radical acceptance is a concept developed in dialectical behavioral therapy (DBT). 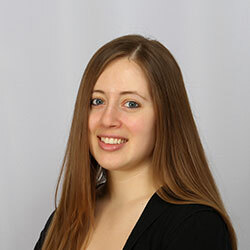 It teaches patients how to learn how to accept things that are unpleasant, unfavorable, or uncomfortable. It also teaches the patient to be honest with himself or herself and to not point blame on other people or circumstances. This process can be complicated, so it is important to walk your patient through each step before expecting him or her to perform the task on their own. 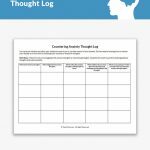 The worksheet consists of 7 questions, each with guided reminders of common thinking errors that could point resolution in the wrong direction. The goal of the process is to learn how much control the patient actually has, and to accept the things he or she cannot control. 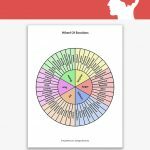 With practice, this is an effective exercise, but it requires much guidance, so it may not be effective in group settings.